Ever had a client ask you why they can’t click on a Photoshop mockup? 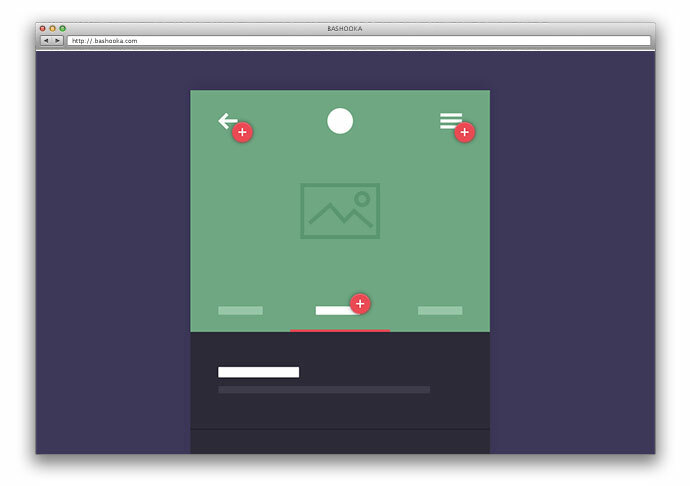 Using these CSS mockups you can demonstrate hover effects, transitions and animations to your client. 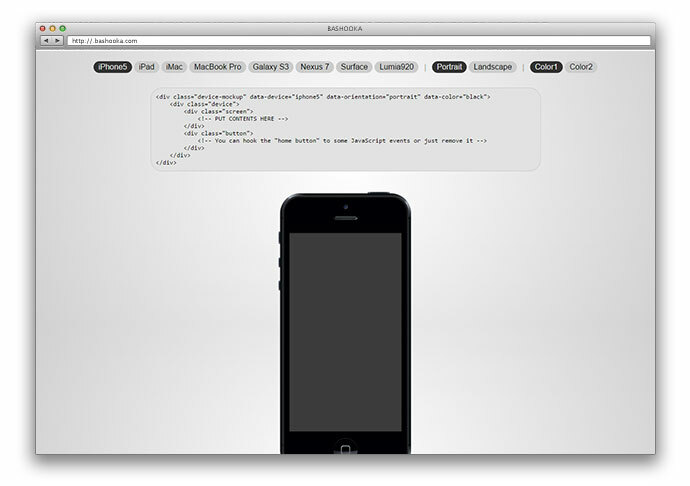 So here are some mockups made using CSS3 And HTML5. 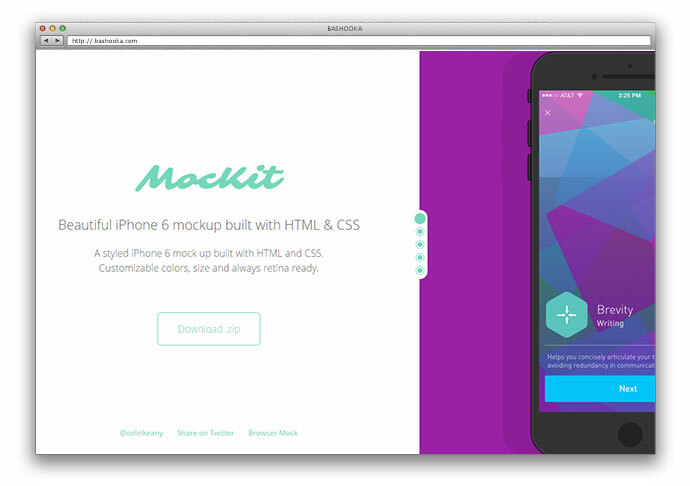 MocKit is a ready-made iPhone 6 mockup kit built with HTML and CSS. Customisable colours, size and always retina ready. 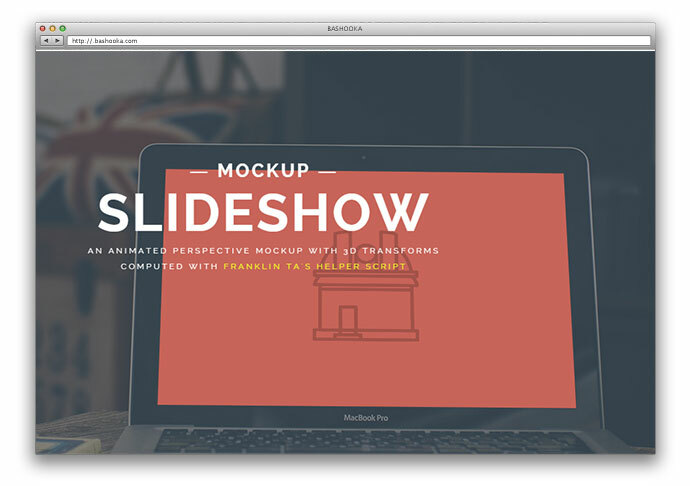 An animated perspective mockup slideshow with 3D transforms based on the computations made with the help of Franklin Ta’s script. 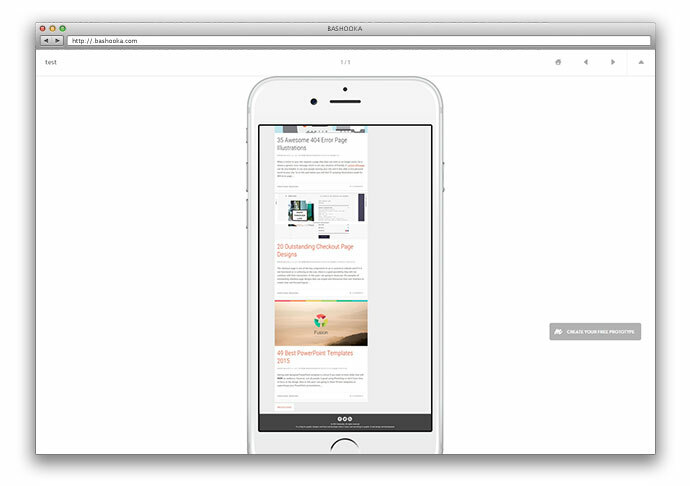 In order to use a device, include devices.min.css at the top of your document and then go back to the demo and select the combination you want, and simply copy out the generated HTML. That’s it! 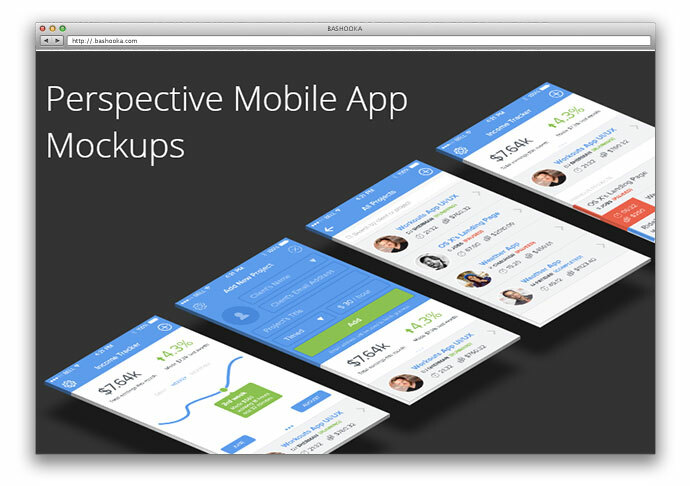 Make some cool looking perspective mockups for your designs using CSS3 3D transforms. Very basic usage of 3D transforms but impressive visuals achieved. Great for starting 3d stuff if you haven’t yet.